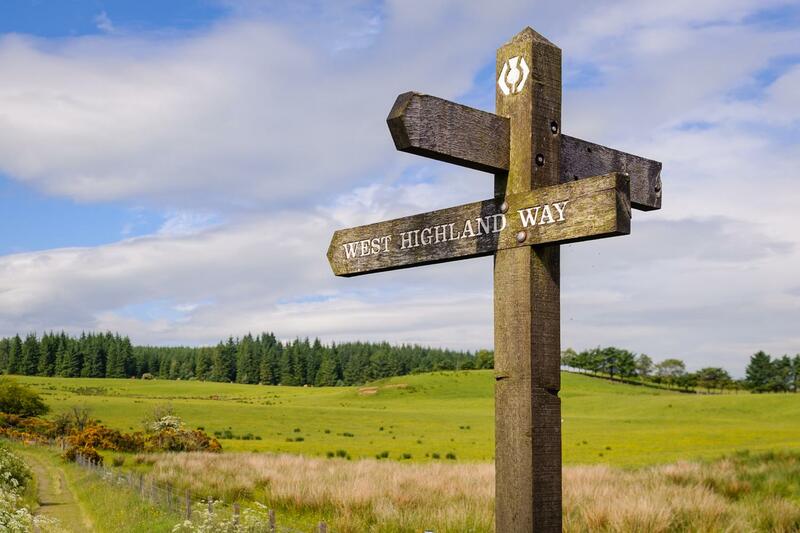 Discover the spectacular landscape of the Scottish Highland's on the West Highland Way - Scotland's most famous long-distance trail. Towering mountains, tranquil lochs and rushing rivers combine to reward you with a unique and ever-changing landscape as you journey 96 miles from Milngavie (Glasgow) to Fort William. Pass by whisky distilleries and the charming rural villages of Loch Lomond and the Trossachs National Park, with spectacular views over and alongside the bonnie waters. Tyndrum and Inveroran punctuate the trail on the way to the Kingshouse Hotel which lies on the remote Rannoch Moor. This really is Scottish highland scenery at its best. 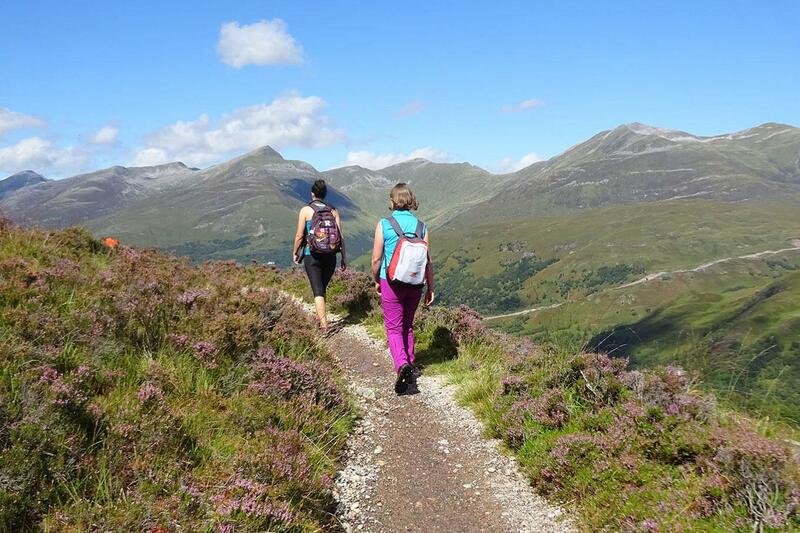 Your walk continues to Kinlochleven via the “Devil’s Staircase”, before finally reaching Ben Nevis and Fort William, Scotland’s Outdoor Capital situated at the head of Loch Linnhe. 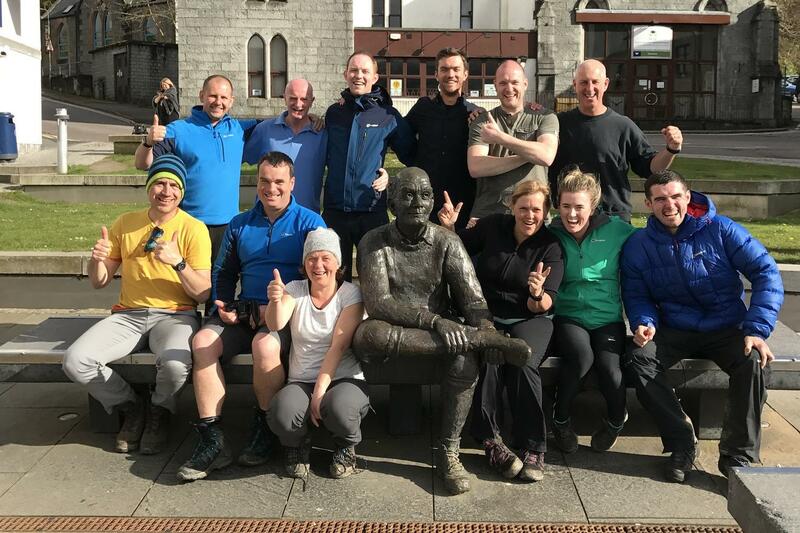 As the largest operator on the West Highland Way (each year over 2500 people trust us to arrange their walk) we can secure you the best value and quality arrangements, regardless of whether you are walking solo or as a group of 20, and we’re happy to tailor-make a tour to fit your requirements. 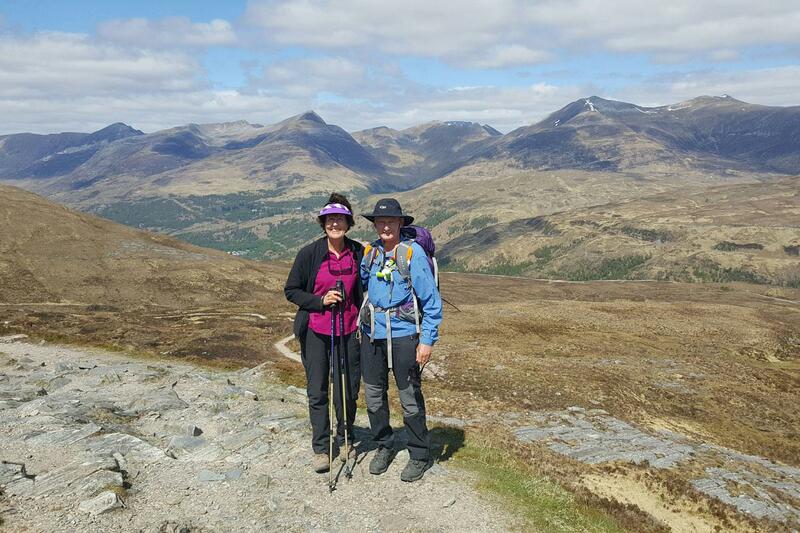 99% of our walkers would recommend us to a friend, and you can read over 800 authentic and unbiased West Highland Way customer reviews. So give us a shout today to start planning your own West Highland Way adventure. For more information on the West Highland Way, you can download our Free online guide, or visit our in-depth West Highland Way information page. carriers at the train station between 8:30-9 am so your bags can be whisked off to your first night's accommodation. send you on your way? shores of bonnie Loch Lomond. 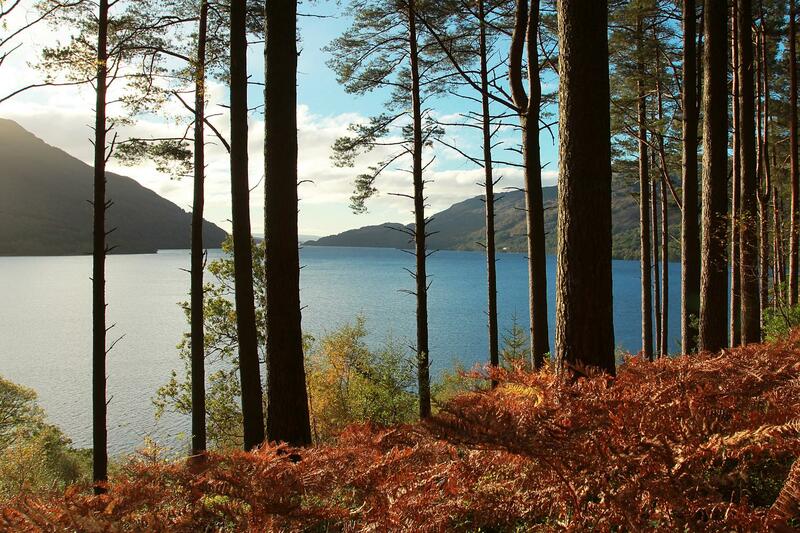 alternates between the loch shore, natural forest and headlands of Loch Lomond. There are numerous short steep climbs, and the underfoot terrain is uneven in sections. Slow your pace to admire the local birdlife and look forward to a hearty meal at the end of the day. spectacular bridge and waterfall as you arrive at Inversnaid Hotel. Bothy the path improves en route to Inverarnan. world-famous and provides the ideal location for your overnight. slowly out of Inverarnan through Glen Falloch towards Crianlarich. The towering Munros of Ben More and Stob Binnean are a fantastic backdrop to your walk as the Way bypasses Crianlarich. Crianlarich, then follow the signs down to this Highland village. Walk through secluded woodland before making your way back to the valley floor on rolling farmland surrounded by the lofty highland scenery. On reaching Tyndrum, you'll find the iconic Green Welly Stop (with a small outdoor supply shop), the Real Food Cafe and the local pub. of Orchy, a small hamlet and sometimes used as an overnight stop - the hotel serves delicious meals if you fancy an early lunch. Leave Bridge of Orchy behind and walk towards Loch Tulla and the Black Mount where you'll find the isolated Inveroran Hotel. Rannoch Moor is simply inspiring. mountain, and is a favouite spot of the area's Red Deer. highpoint of the West Highland Way at 548m. Your reward is wonderful views of Ben Nevis, Britain's highest mountain, before you wind your descent into the small town of Kinlochleven. wonderfully remote valley past deserted stone cottages towards Fort William. Our West Highland Way holidays include overnight accommodation in a mixture of country inns, small hotels, guest houses and B&B’s. We have worked with many of our accommodation partners for over 10 years and have great relationships with them ensuring you receive the best attention from the moment you check in. We carefully select your accommodation to ensure that you enjoy every minute of your stay and all offer a warm welcome to walkers, traditional hospitality and delicious local food. 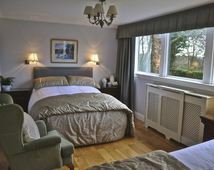 We book en suite rooms as standard. If there are no en suite rooms available in an overnight location, we may book a room with shared facilities, but we will always inform you in advance if this was the case. If you would prefer a little extra comfort whilst walking the West Highland Way you can choose to upgrade to and stay with our hotel accommodation partners. If you choose this option you'll stay in a selection of country hotels, luxury B&Bs and country inns of character. We will always try and accommodate you at the locations detailed in your itinerary. Occasionally, because of limited availability, there is the option to be accommodated at an alternative location. In the unlikely event that we have to accommodate you elsewhere, we will advise you of this before confirming your booking. In this case we can amend your trip dates or arrange transfers to and from an alternative overnight accommodation (supplement payable). 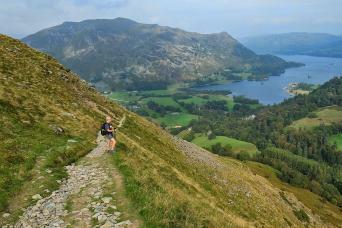 This holiday is available to solo walkers, although a supplement is payable. If you require single rooms within your party we would be happy to accommodate your request, although it is not generally possible to secure more than three single rooms in a party. A single room supplement is payable. Breakfast is included each morning while lunch and dinner are not included so you are free to choose from the available options. Your accommodation will be more than happy to provide a packed lunch on request and this can be booked on arrival. Alternatively, your guidebook includes details of local shops and convenient lunch stops on the way. Dinner is available either at your accommodation or nearby pubs and restaurants and your info pack has recommendations. You may wish to take some extra nights along the route, either to rest or to explore some of other walking opportunities nearby. We would recommend extra nights at Rowardennan - For climbing Ben Lomond, Crianlarich - A halfway stop with options for visiting Oban, Fort William - For climbing Ben Nevis. Although not exhaustive these are some of the accommodation providers we use most often. At Drymen Rooms, Colin and Scott guarantee a warm friendly welcome and comfortable stay in their modern and clean 3 star accommodation. You are ensured a warm welcome from Tommy and Mhairi at this lovely guesthouse. Ashbank was once the home of the famous Olympian Eric Liddel who's story was depicted in the Oscar winning film Chariots of Fire. A lovely B&B overlooking Buchanan Castle Golf Course and offering a very high standard of accommodation in the village of Drymen. One of the finest and most popular small hotels in the Trossachs, The Buchanan Arms Hotel possesses character and charm which sits peacefully and calmly with the qualities of its surroundings. 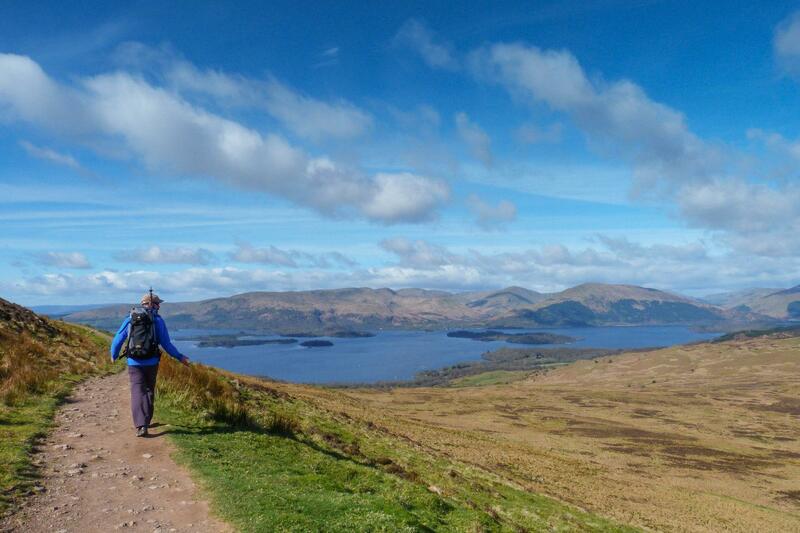 Overlooked by the slopes of Conic Hill, this family-owned and managed inn provides the perfect overnight on your West Highland Way adventure nestled in picturesque countryside. Situated on the rugged eastern banks of Loch Lomond in the magnificent Queen Elizabeth Forest the Rowardennan Hotel has breathtaking views of Ben Lomond, Loch Lomond and the mountains to the north. Beinglas is two miles north of the head of Loch Lomond on the West Highland Way beneath the Grey Mares Tail waterfall and surrounded by an abundance of mountains, waterfalls and wildlife. 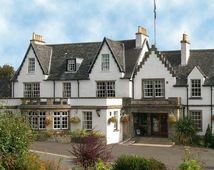 The Ardlui Hotel is located in the heart of Scotland's first National Park - Loch Lomond & the Trossachs National Park - and has a friendly restaurant providing hearty highland dishes. This is an award winning, comfortable and well-appointed 3-star hotel set in the lovely village of Crianlarich. If you choose an itinerary with hotel upgrades ending in Tyndrum there will be a 5 minute taxi transfer to Crianlarich. Glengarry House is a friendly and comfortable guest house situated just outside of Tyndrum. Ellen and Andy provide the warmest of welcomes to their wonderful establishment. The Bridge of Orchy provides great personalised service, imaginative Scottish cuisine, and quietly elegant bedrooms all in an intimate Highland atmosphere set among the mountains. The staff at the Inveroran Hotel believe that staying with them is a special experience for everyone. As befitting it's remote Highland location it has retained much of its 19th century inn charm. Alt-na-Leven is a charming family run 4-star guest house in the heart of Kinlchleven, among the dramatic peaks of Glencoe and the Mamore Forest. Guisachan House sits above Fort William, close to the centre of town. Matthew and Edith will ensure that your last night on the West Highland Way is a comfortable and relaxing one. Dora welcomes you with open arms to her beautiful guest house - Myrtle Bank. Overlooking Loch Linnie and just a short stroll from the town centre Myrtle Bank is a wonderful place to relax at the end of the West Highland Way. This holiday is graded moderate overall with individual itineraries varying from easy to moderate through to moderate to strenuous. Daily walking distances vary between 7 - 21 miles. Some days will be more challenging than others and the terrain will be varied with some rough and rugged footpaths. There are ascents and descents involved so a good level of fitness is required. The route is well waymarked and easy to follow. We supply a detailed map and guidebook so you should have no problem finding your way on the trail. The distances and ascent/descents are approximations of the recommended routes - please note that your devices (watches, phones, GPS units) may give slightly differing distances to our carefully recorded distances and ascents/descents due to varying GPS signal and depending on which accommodations you overnight at. Please be prepared by packing all the necessary items, for example, proper rain gear (jacket and pants), sun hat, and sunscreen. Your information pack has a detailed equipment list which includes standard walking gear such as good walking boots or shoes, warm and waterproof clothes for the cooler months, lightweight clothing for summer, and a day pack. Read our blog to find out how to get from Glasgow to the start of the walk at Milngavie. Further details of how to get to Glasgow (the closest city to the West Highland Way) are below. Glasgow International Airport: Located 8 miles west of the city of Glasgow, the airport is served by numerous domestic and international routes. A regular shuttle bus service runs to Glasgow city centre, and there is also a service to/from Fort William. Prestwick International Airport: Located 30 miles south of Glasgow, Prestwick Airport is served primarily by Ryanair. A train service runs from Prestwick to Glasgow city centre and takes approx. 50 mins. Edinburgh International Airport: Located 45 miles east of Glasgow, Edinburgh Airport is served by numerous domestic and international routes. A regular bus service runs to Glasgow city centre and takes approx. 60 mins. Glasgow is well-served by rail from across the UK. Booking in advance secures the best fares. For information on all routes contact National Rail Enquiries. Glasgow is served by an excellent motorway network. Long term parking is generally not available in the city centre, but unsecure parking is available in Milngavie at the start of the walk. A useful website is the RAC Route Planner. Services from UK destinations are operated by National Express. Services from Scottish destinations are operated by Scottish Citylink. Return transfers from Fort William to Glasgow are NOT included in the price of your holiday. If you are returning to Glasgow we suggest the Citylink Bus (up to 8 departures daily, approx. 3 hours) or Scotrail train (one of the UK's most spectacular journeys, 2-3 departures daily, approx. 4 hours, also available for continued journey to Edinburgh). Trains and buses also operate north to Inverness and Skye; a great website for public transport planning within Scotland is Traveline Scotland, or give us a shout to discuss extending your stay further. We are able to offer transfer arrangements at attractive prices, for your convenience. Just give us a call to talk through your plans. 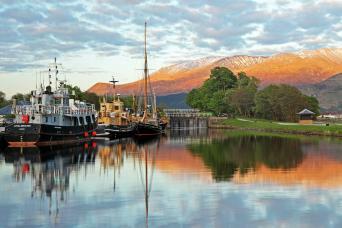 An overnight in Fort William post tour. Detailed information pack and guidebook. GPS tracks and detailed mapping with our Macs Adventure smartphone app. 24/7 telephone support from our offices. Transport to the start or from the finish of the walk. Glasgow / Milngavie accommodation (pre-tour). Upgrade to hotel-standard accommodations every night. Extra nights along the route. Additional nights in Fort William (post tour). 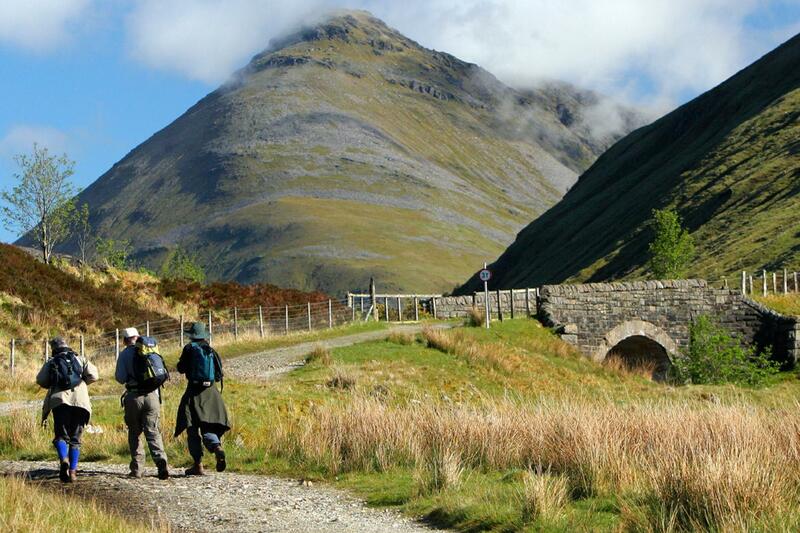 Planning a trip on the West Highland Way can be daunting, especially if this is your first long distance walking tour. We are often asked the following questions and we hope that you will find the answers useful. At 96 Miles the West Highland Way is a fair distance and the higher your level of fitness the more you will enjoy the experience. Most of our itineraries involve between 5 and 9 hours walking daily so you should be comfortable walking on good tracks and paths over undulating terrain for at least 6 to 7 hours. If you currently don’t enjoy that level of fitness regular walking in hilly terrain supplemented by cardiovascular exercise for 6 months prior to your walk is recommended. A good gym or personal trainer will be able to draw up a personalised training programme. If you don't overnight in Glasgow or Mingavie before beginning the West Highland Way meet our baggage transfer partners at Milngavie Rail Station at 0830-0900. They will check you in and take your bags, which will magically appear in your next overnight accommodation. Each morning, just leave your bags in the reception area and we will have them transferred to the next location. Please limit the weight of your luggage to 20 kg per bag (one piece per person). We suggest you book as soon as your plans are finalised as the West Highland Way is very popular especially in May and July/August. However, we will always do our best to accommodate your dates. You will need good walking shoes/boots (ideally waterproof), comfortable walking clothes, waterproof jacket and trousers, a daypack and hats/gloves etc. Our information pack has a list of all equipment you will need, along with some helpful suggestions. Traditionally May has always been the most popular time of year because, the theory goes, that the weather is better and the midges have not yet appeared. Although having walked the way in every summer month we believe any time between late March and October offers a wonderful experience. Midges are small biting insects (much like North American gnats) that are prevalent in the summer months. They are particularly bad on still, overcast days but do not bother you if you are moving, the wind is blowing, sun is shining, it’s raining, or you are inside. We recommend carrying insect repellent, and bite cream, for the odd occasion you may need it, this way they shouldn’t have any impact on your experience. Unfortunately we are unable to accommodate walkers with dogs as many of the accommodation providers we use do not accept pets and several sections of the way are closed to dogs as they are permissive paths through farmland. You can use public transport or local taxis to reach your next overnight stop. Full details are included in your info pack or you can call us for assistance in making arrangements. 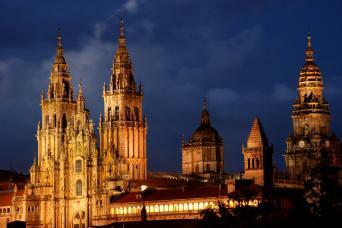 A great walking experience, within the most beautiful landscapes you can imagine. Never saw a landscape changing from deep woods, through open fields, up to high mountains within an hour. Even if there were some days full of rain, we got a real luck with the weather and walked over the open highlands with a clear blue sky, in bright sunshine. No one can take this away from you :) Service was perfectly organized , all accommodations are ranged from good to excellent. The helpline was accessible also on Sunday and gave perfect advise, when we needed the address of our hotel. Little caveat is the way from Inversnaid to Inverarnan. Climbing through the rocks might be some some fun at the beginning, but really get you on the nerves after some hours :( What i would do better next time ? Taking more time through the day. Even if we made some excursus into the distillery of Glengoyne or into Mugdock Castle ( both are really worth leaving the track) , we got plenty of time, after reaching the destination for the day. So take your time, enjoy the landscape, prepare some picknick, there is no need to hustle. The walk along the West Highland Way was well organized in terms of walking distances between overnight stops. The accommodation at these stops was consistently of a high standard in terms of facilities and the breakfasts. Many options were available at each stop which ranged from a continental meal to a full Scottish breakfast. The information provided on the cloths and equipment was very appropriate to the conditions encountered. Our group had an amazing time on this trip. From the beginning our trip organizer was very responsive via email and phone calls. He answered all our questions and addressed all our needs. The entire trip was very well organized without any snafu .. our luggage always delivered on time, drivers arrived for pickups always on time and they were some of the friendliest people, accommodation registrations always accurate and hosts aware of our arrivals, and directions always accurate. The hike was truly self guided and we did not get lost. The walk itself was amazing allowing us to see some of the best landscapes of Scotland and meeting many interesting hikers along our journeys. One of the most unexpected and awesome experience was the drive from King's House to Glencoe. The drive allowed us to truly see the majestic highland. Please add this drive and any other drives ( esp on short walking days) as options so that we may see even more that is not possible during the walk. Loved this trip. MAC's did a great job coordinating our stays at B&Bs each night. Excellent accommodations and service at every B&B. Handling of luggage also well done/efficient. The Sottish people and the other hikers along the way were across the boards engaging and fun. 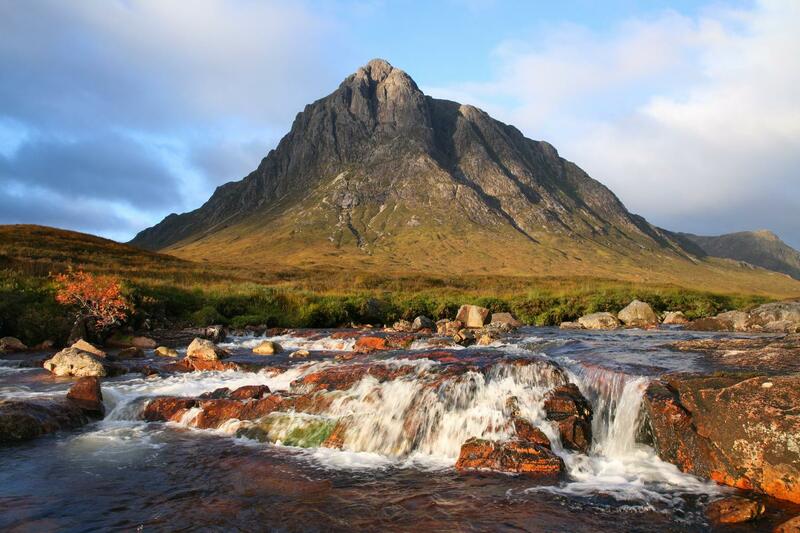 Please keep the beautiful drive from Kings House to accommodations in Glencoe in the itinerary. FYI, I tried to give to the John Muir trust to support the upkeep of the West Highland Way but the website only accepts donations in ££. Spotless organisation: accommodations, bag transfers, tips and maps, etc. MacsAdventure arranged everything at very short notice as we inquired only one week before our starting date and they made it happen. 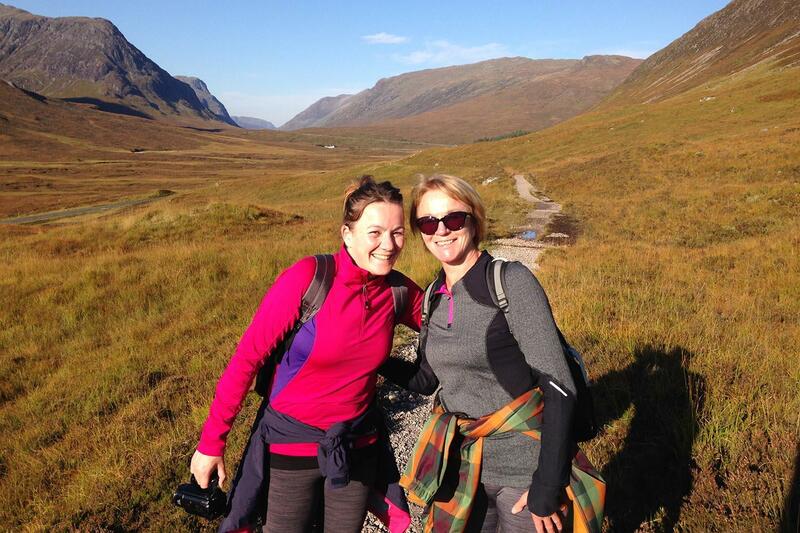 The West Highland Way was a great walk in Scotland. We chose the 7-day walking option, which was manageable for 3 fit women (aged 58-67), but challenging in parts. The distances in the information pack were underestimated by about 10% overall. The accommodation was very good, especially in the B&Bs and guesthouses. Great variety in scenery - it got better as we moved northwards. The walk across the moor to Glencoe was lovely. Can't wait to plan the next trip with Mac's Adventure! Every part of the adventure was great! 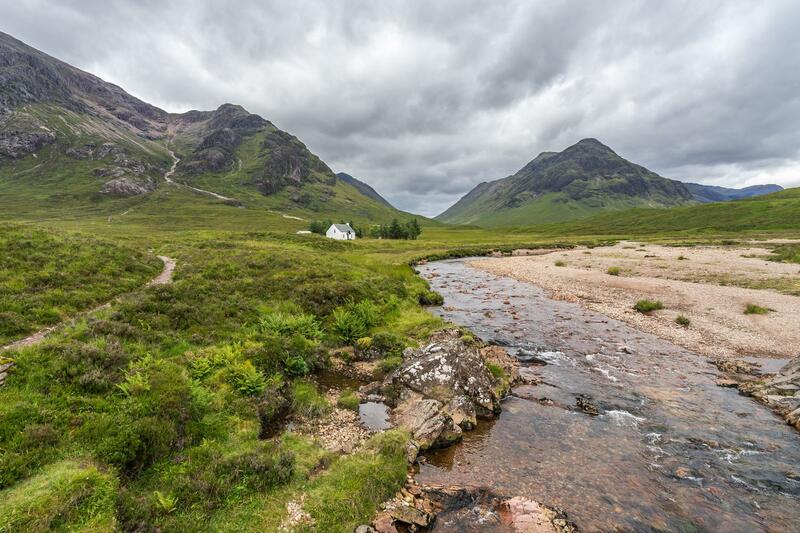 This is a stunning long distance walk, showcasing some of the best scenery that Scotland has to offer. It can be pretty tough going, with some challenging terrain, but there is always the option to do it over 10 days and make it into more of a leisurely hike. A great one for boasting about to friends!